Contrary to popular belief and depiction in the practical newspapers, Indian monsoon is not all about flooded streets and overflowing gutters. It is also about verdant greens, the smell of petrichor, the light and shadows of clouds and sun, and the nostalgia of hot tea with pakoras. However, the cities of India are not really the places where monsoon is welcomed anymore. Rather, it is a season which is dreaded – it is when people are stuck in endless traffic, when public transport schedules become erratic, when roads are submerged and tempers are frayed. 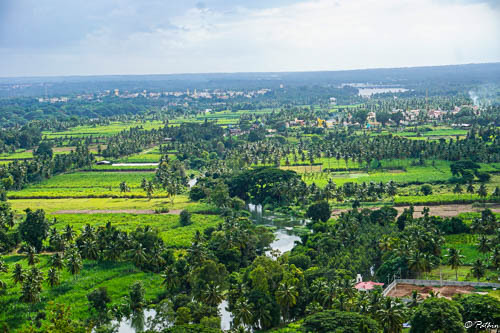 However, outside of the cities, the monsoon rains are still welcomed with much joy and happiness since it is the life-blood of a predominantly agrarian economy like India. 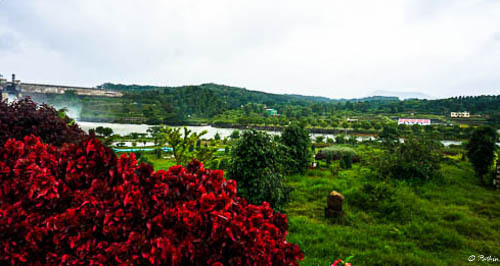 The plethora of songs, poems, and literature celebrating the beauty & romanticism of monsoon is a testament to this fact. 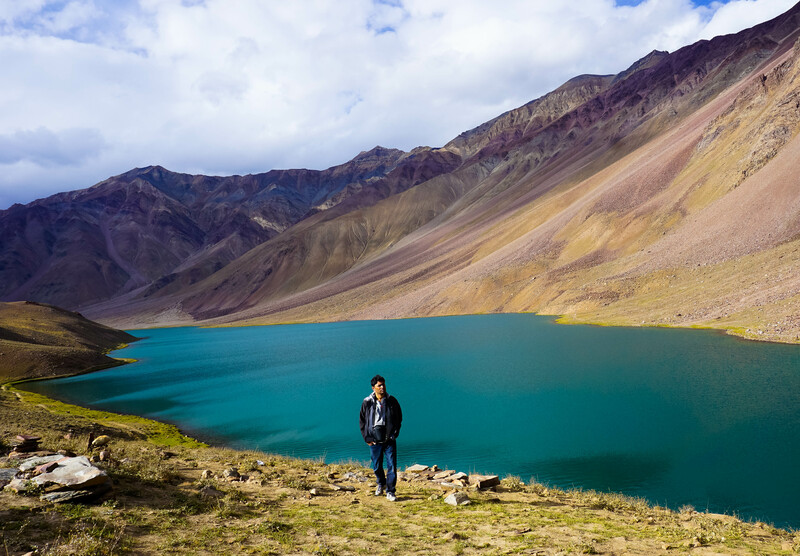 To truly enjoy the beauty of monsoon, one has to go out of the cities to the hills where nature decks up in its finery to celebrate this joyous season. 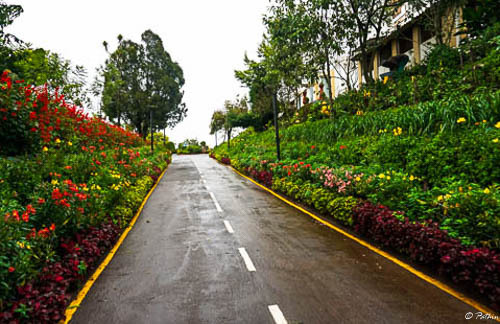 Thus started our sojourn to the Nilgiris – the blue mountains of Tamilnadu, Karnataka, and Kerala – an area which is not only beautiful in its own right but also because the monsoon magic is best enjoyed amongst its quaint towns and villages where the rains are an enriching experience for the inhabitants – humans, flora & fauna. 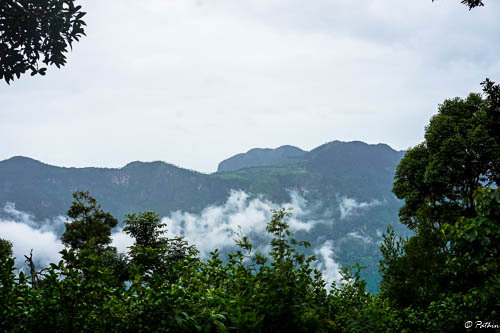 During the monsoon season, the Niligiris wear a cloak of mist that imparts a slightly bluish tint to the hills from a distance. The rain washes away the suspended dust & smoke particles, revealing a landscape that glows in beauty and abundance. An outcropping of basalt dome bears evidence of the geologic forces that created this plateau millions of years ago. 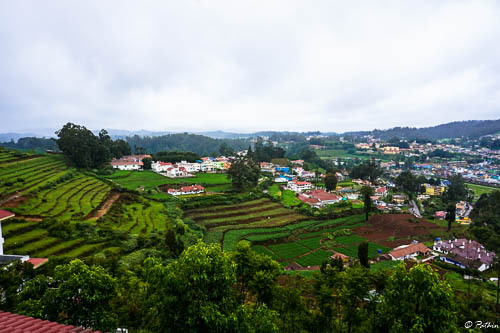 Originally formed by a series of volcanic eruptions around 65 million years ago, today the Nilgiri Hills are a series of undulating green hills surrounded by plains of the southern India. 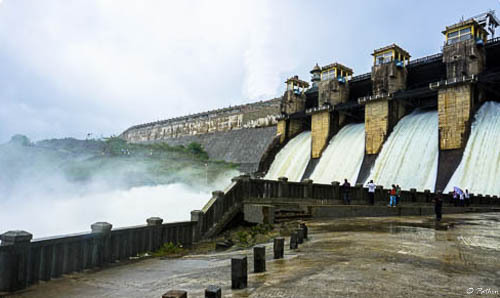 It covers an area of 3900 square kms. 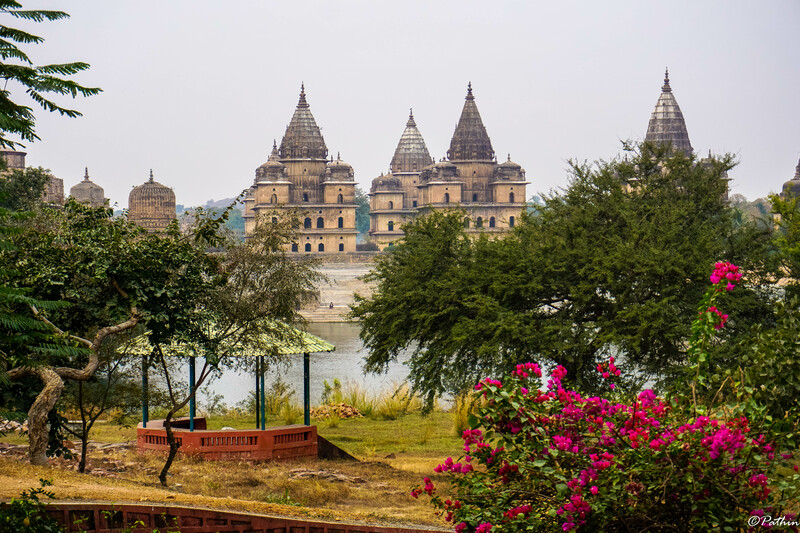 and is considered to be one of the oldest geologic formations in India. 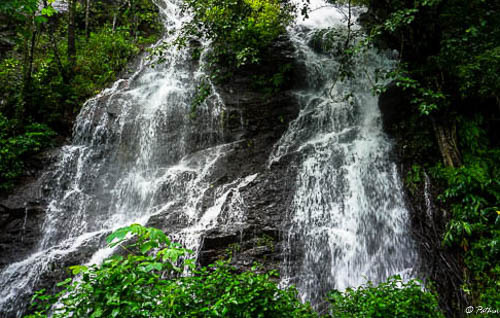 Due to its temperate climate, this area was much preferred by the British citizens during the colonial rule and their legacy is still visible – in the names of waterfalls, peaks and even settlements. The English tradition of tea with cakes is popular till today as are chocolates – the home-made variety, far superior to the packaged ones available in the cities. The hills are carpeted by multi-coloured wild flowers, interspersed with patches of pink or yellow or purple at places. Here, in the foreground, are pink Lantana flowers. 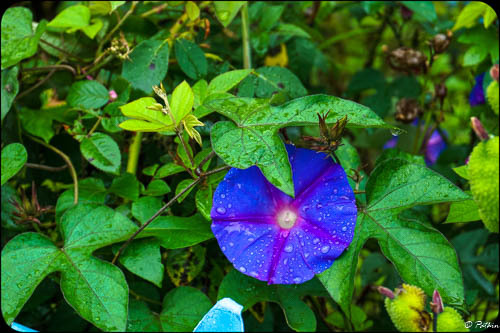 A Morning Glory peaking out from the roadside shrubs. 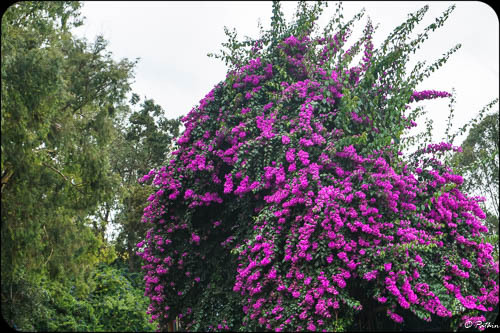 A majestic stand of flowering bougainvillea. 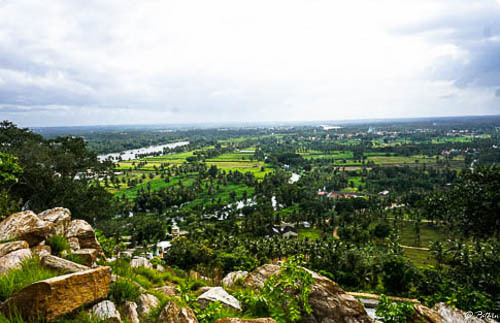 The Nilgiri Hills are the source of many rivers and streams of southern India. After the dry summer months, the rains resurrect these waterways and once again they meander their ways to the coast. 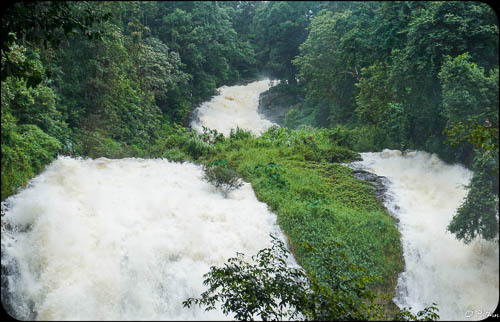 Though beautiful from a distance, these rivers are frequently the cause of great worry for the inhabitants during the rainy season. 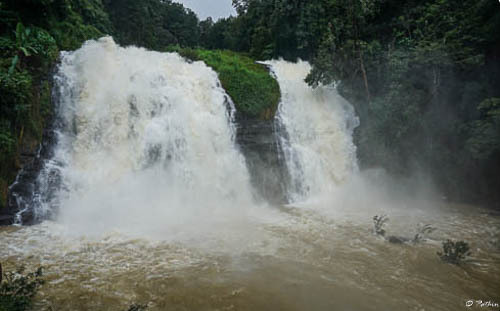 With changes in rainfall pattern in the recent years, flooding has increased leading to submergence of agricultural lands and jeopardizing the forest lands and animals. 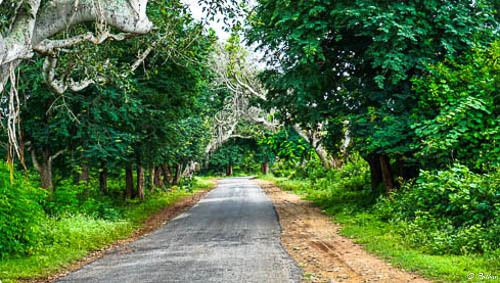 Tamilnadu, Karnataka and Kerala states have some of the biggest national parks in the country – Bandipur, Mudumalai, Nagarhole, Periyar with sizeable amount of animal population. Flooded rivers and lakes result in loss of habitat for these animals and they migrate closer to human settlements leading to man-animal conflicts. 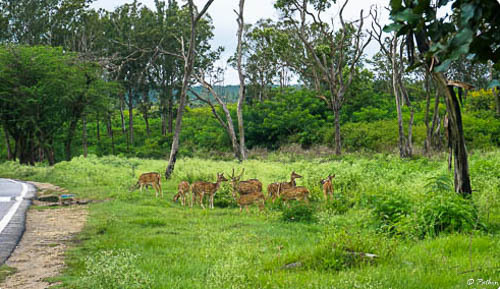 Yet, coming across a herd of deer or a family of elephants while driving though these forests is a charming experience itself. It imparts a sense of adventure to an otherwise regular drive through a sea of green. 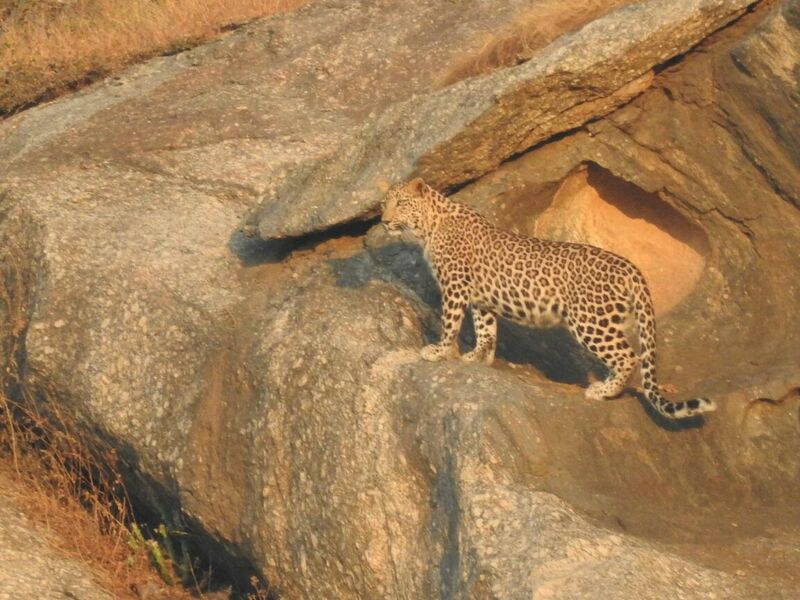 A common sight in Bandipur National Park. 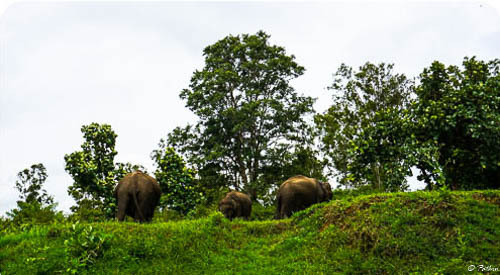 Elephants seem to have understood the fact that they are safe from human interference in the national park, so there was no display of fear or aggression. 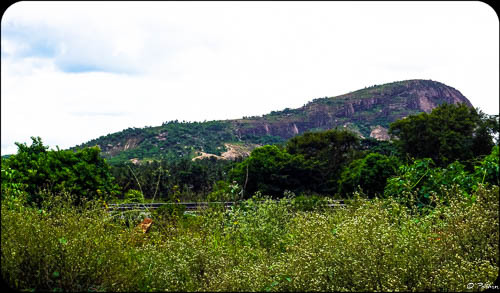 Aside from the pure, natural beauty, the Niligiri Hills are also important from an economic point of view. 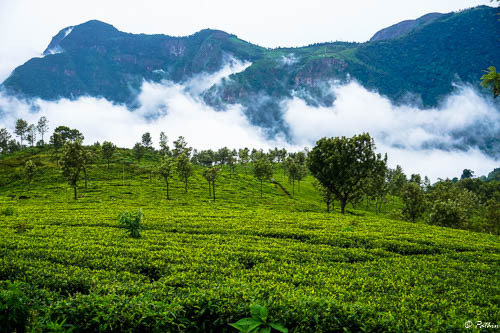 The cool climate and drizzling rain provide a perfect combination for tea plantations and Nilgiri tea – green, black, white, oolong, jasmine – are popular products not only within India but also constitute a significant percentage of exports to Russia and the CIS countries. 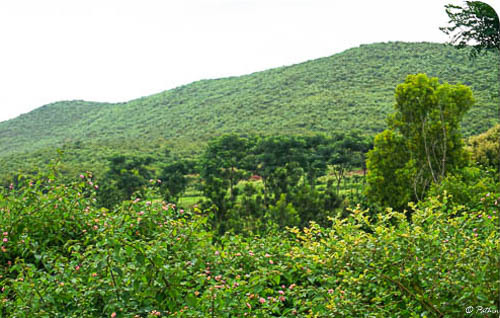 Singara Tea Estate – one of the better known tea gardens in the Nilgiri Hills owing to its connection with Bollywood actress Mumtaz. 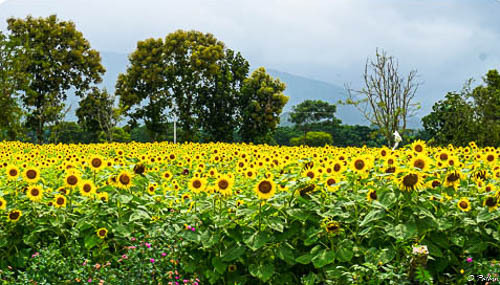 Aside from commercial tea plantation, in recent years floriculture has been a great success in this area. 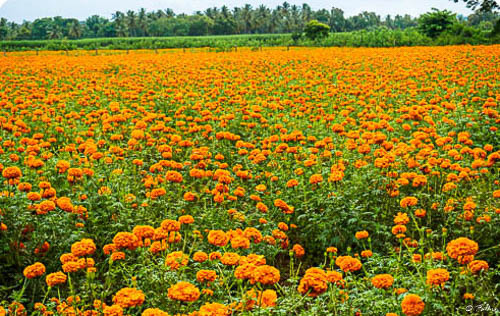 Its very common to find the sea of green broken up with patches of orange (marigold) and red/pinks (roses). Due to popularity of tourism in the area, good accommodation options are numerous. Specialty restaurants serving local delicacies are easily located, as are shops selling the local products like tea, coffee, honey, and spices. Despite rapid urbanization in the southern India, the Nilgiri Hills managed to retain its essential character – where it is only but natural to be invited to a hi-tea at your neighbor’s place, served in delicate porcelain cups accompanied by miniature tea cakes. 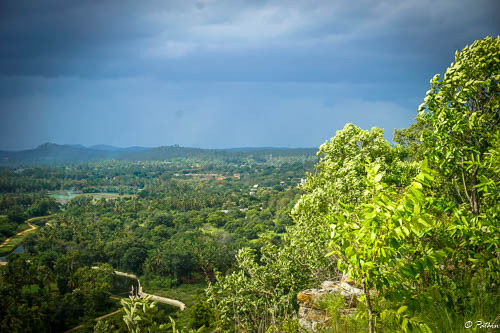 It is a place to disengage from the frantic, modern lifestyle and listen to the bird-songs and the crickets and if you are lucky, hear the songs of the trees.